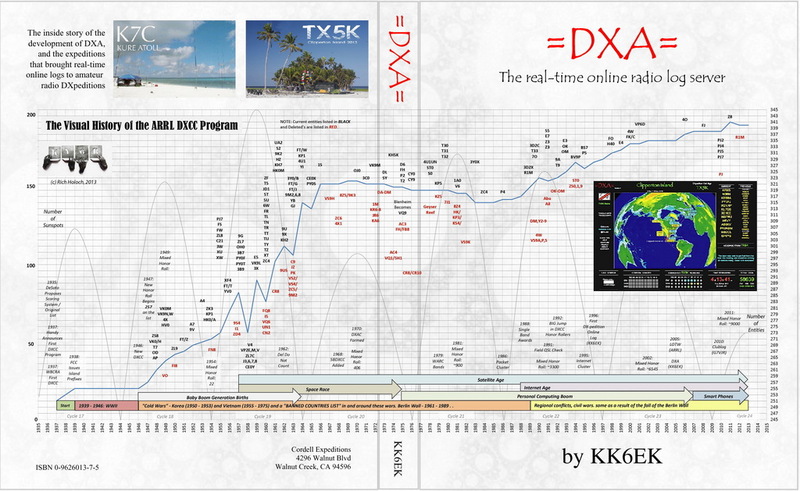 282 pp, 16 pp full color, perfect binding, 7.5"x10"
This book presents the origin and development of DXA, the spectacularly popular real-time online graphic radio log server, and the inside stories of its use on two major DXpeditions: 2005 Kure Atoll K7C and 2013 Clipperton Island TX5K. 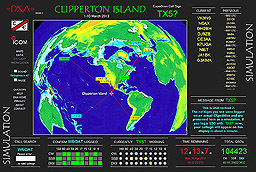 On each of these DXpeditions, the DXA web page received about 40 million hits by more than 25,000 different ham radio operators. Its popularity as a valuable tool to assist the DXer to make a valid contact with a remote DXpedition is documented in many hundreds of written opinions, many of which are included in the book. Also included in the book are the statistics of the K7C and TX5K DXpeditions and numerous proposals for future development of DXA, as well as the untold stories about how the DXpeditions were organized and carried out, and many of the difficulties encountered in carrying out these expeditions. The book is dedicated to the author's long-time friend and DXpedition partner, Luis Chartarifsky XE1L. Luis was a world-class DXer and amateur radio ambassador to thousands around the world. Less than an hour after returning from the TX5K expedition, he passed away from a massive heart attack. Numerous rembrancesand tributes of Luis are included in the book. Important: Include the words "DXA Book Order"